Had an interesting time at the haunted and historic Overholser mansion in Oklahoma City's Heritage Hills neighborhood on the days building up toward Hallowe'en. Built in 1904, the home sat at the center of early Oklahoma City society. Unlike many similar homes, this one contains 99.9% of it's priceless furnishings date to before statehood. One of the stories told to me about the home was that a curator had heard the sounds of music and laughter as she crossed the hall from the library to the music room. So, imagine my surprise as I'm waiting for the staff to arrive and I hear music -just a bar or two- while I stood on the porch snapping shots of the autumnal decorations. The music sounded like 19th century chamber music. It was almost too anachronistic to have floated on the air somewhere, so I assumed they leave period music playing inside the home to add to the historical experience. Well, as I found out a short while later from the curatorial staff, they never leave music playing when they are gone. Those rare times when they play music, I was informed, it's either rock or country. 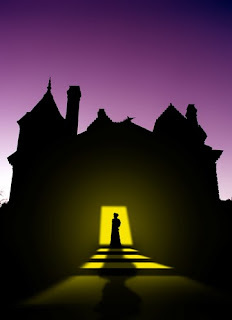 The next night, as I took another private tour of the home to discover its hidden gems, I felt something brush against my arm as I stepped from the 2nd floor landing into the hall. I may have just brushed past a web (although the place is very clean) or it could have been an errant thread falling from my jacket sleeve. I can't say for sure. But with the strange music the night before, I wasn't willing to dismiss anything out of hand quite yet. Is the Overholser haunted? According to many visitors and staff, it most certainly is. I can't yet say for certain whether I felt a brush with its ghosts or heard the dulcet tones of a party long since concluded. I will, however, keep my mind open to the possiblity and my eyes open for anything that goes bump in the night in the heart of Heritage Hills. 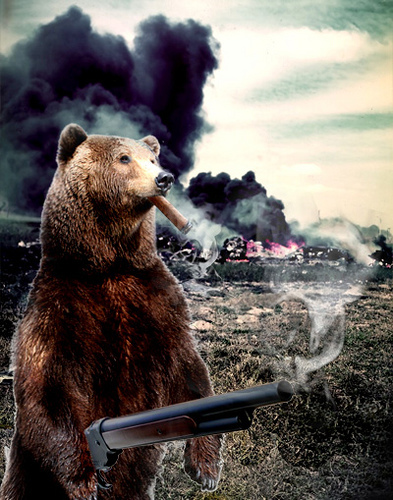 Uncovered this in a Google search. 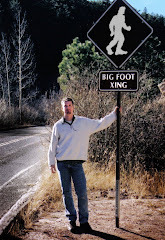 It's from the 2009 bigfoot conference in Honobia, OK. The video is a bit rough (as is my presentation), but it might be interesting for anyone who missed my talk last October. I arrived late the first evening to the forested hills and hollows around Atoka, OK. A fat sky sank low over the region, threatening storms at the slightest upset, but it made for a beautiful drive to this remote town almost two hours southeast of Oklahoma City. The foliage lately has slowly been turning those autumnal shades that always seem somehow more spectacular against bilious heather skies. That night, eleven miles outside town, at the Boggy Depot State Park, an evening of Bigfoot related movies was underway. It was a meet-n-greet for the guests and attendees and quite the success, as I learned the following morning. The day held promise as I arrived early the next day. It was cool and sunny and looked to be the best of all possible conditions, save for some annoying winds that buffetted the tarps surrounding the covered picnic area that would serve as the main arena. With an ad-hoc podium, congregational rows of chairs, and a tented-in pavilion, the whole event felt like a camp revival for Bigfooters. If only I knew that soon I would witness the speaking of tongues. Within a short period, other vendors began showing up: a man selling Bigfoot t-shirts, the delightful aroma of food filled the air, and a large moon bounce was erected for the kiddos. Drumming and singing was heard from a contingent of Choctaw men and women, dressed in traditional garb. Attendees settled in quickly and early. Despite a late start, all eyes were focused on Randy Harrington and Darren Lee as they delved into the intricacies of hunting for this elusive creature. Then it was Brit Nick Redfern's turn. He talked about various unknown beasts from the UK as well as Texas, where he now resides. His current book is about these various strange animals from Texas legends. It was co-authored by Ken Gerhard, who was also in attendance. When their back-to-back talks were concluded, it signaled a break in the day's events and devotees flocked to the two men like groupies to rock stars. During the morning, the sun slowly receded and a roiling charcoal sky filled its absence. The wind picked up, tearing through the trees and sending a shower of golden leaves fleeing only moments before the heavens erupted. The rain fell in periodic torrents for the next several hours. Many attendees scurried with sudden urgency to the vendor tents that had thus far gone somewhat ignored. Ah, to be in such sudden demand. When the talks resumed, the crowd was still holding strong even if a few had been washed away down stream. A retired Navy crypto-linguist, R. Scott Nelson, introduced neophytes to the lost language of Sasquatch - to the amusement of some. It was hard to ignore how funny this grunting, gutteral language sounded when he would parrot what had just been heard on an audio file. I can't describe it other than to say it bore more than a passing resemblance to Klingon. And while I was left with questions (namely how rudimentary translations of discreet sounds can be established without visual context), I daresay not a soul was bored with the presentation. We heard from cartoonist Robert Swain, known for his popular Laughsquatch comics. If you're not familiar with them, think a Farside take on Bigfoot. New Zealander, Daniel Falconer, who is an artist with the visual effects company WETA (known for their work on several Peter Jackson projects, including Lord of the Rings and King Kong), showed the audience some behind the scenes footage of how these movie monsters are made. His presentation was compelling because this is a company that, with millions of dollars, can make a believable hoax. This stands as a strong argument against the common thought that you can just throw on a monkey suit and fool people. As an example, he showed a commercial for a New Zealand search and rescue outfit that utilized a Yeti costume the company had designed. It cost more than $25,000 dollars to create but was still obviously fake. While the body looked very good, the facial features just gave it away. He also passed around a latex foot of a "Hobbit" (worn by one of the principle actors in the films) that was remarkable for its degree of detail. It had dermal ridges, a cracked toenail, calluses... These are details that would never have translated to screen, but they were there. Ostensibly, these are added to increase the degree of verisimilitude both for the actors portraying the characters and for the off chance Jackson needed a closeup shot of a foot. But what amazes me is that these artists had no problem fashioning a believeable foot - and frankly one more believable than half the casts out there right now. If this silicone foot had been stamped into some muddy soil, I can guarantee you it would send shockwaves. But it wouldn't have been real. I think that's definitely something worth pondering. By the time I got up to speak, much of the crowd had left. Whether driven out by the nonstop rain or maybe I just didn't hold their interest, I won't speculate. I'd like to think I entertained those few left. Microphone problems had me dusting off some old theater skills in projecting my voice over the wind and weather. I hope everyone managed to catch an earful of my tales of Bigfoot, Thundebirds, and mysterious alligator-headed beasts that walk on two legs. 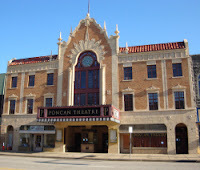 Concluding the lineup of guests were members of Paranormal Investigations of North Texas. Sharing EVP's, videos, and still images from their various haunted excursions, the team had the fewest attendees, but this was probably beneficial since it allowed everyone to gather in close to hear their various audio files. One of the interesting events that happened to them occurred only the night before as they investigated a cemetery close by. Filled with Civil War Era stones, the cemetery is a gorgeous spot to rest for eternity. However, it was a far newer grave that yielded an EVP of a little girl's voice calling out "Momma?" 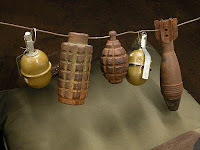 The day's events concluded with dinner from Bigfoot Bar-B-Q and an auction of Bigfoot track casts, books, collectors items, and a framed print from King Kong (complete with two spent shells collected from a gunfight in the movie) that was supplied by Daniel Falconer. 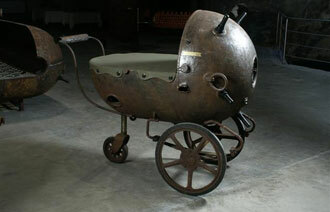 I have been assured that another is already in the works for next year. I'm glad. Despite the torrents of rain, it was still a very successful event with some interesting speakers in a lovely part of the state. I look forward to returning to Boggy Depot next year. You may remember another time traveler post from this blog. Could this be another misunderstanding of historic details? Or are we looking at the genuine article - in big ol' clown shoes? I would have to watch then entire film to truly weigh in. It seems like there might be a bit of absurdist filmmaking going on in Chaplin's The Circus, which might explain better this background character. High in the mountains of Colorado, the US Air Force Academy's chapel - looking more like a weapon than a church - may now be hosting Wiccans, Pagans, and the like. According to recent reports, the Academy has a growing alternative religion base. Tech Sgt. Brandon Longcrier serves as the lay leader of the Earth-Centered Spirituality community. It's presence is a testament to the Air Force's modern, inclusive profile. For the record, while Wiccans forbid themselves from casting harm against others, the Academy (perhaps tongue-in-cheek) stated that this long-held credo does not apply to the battlefield. While this seemingly welcome embrace of religions other than Christianity is seen by many as a greater step toward tolerance, one wonders how much of daily life among the cadets truly reflects these platitudes. But if steps like this open the door toward better communication and understanding among different viewpoints, perhaps we as a people can move forward (if only at the speed of sound). Can We Continue To Blame Hoaxers For Our Willingness To Believe? Fool me once, shame on you; fool me over and over and I'm still going to absolve myself of any responsibility in the matter. 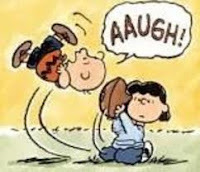 Think about it: after the 900th time Lucy pulls the football out from under Charlie Brown, just how much sympathy can that little block-head in the zig zag shirt expect? Sadly, to some, the answer would be a lot. As English novelist Angela Carter once sardonically observed: "In a secular age, an authentic miracle must purport to be a hoax in order to gain credit in the world." She couldn't be more right; the truth is a lie and the lies are all true. The fringe fields of cryptozoology, paranormal investigation, ufology and the like have long been inextricably tied to a culture of hoaxing. For as long as man has made these claims, someone has been hoaxing proof of their existence to either support their belief system or to garner attention or even just to get a laugh out of duping the believers. I suspect that a very long time ago, Ug sat in his cave grunting out what he had seen hovering in the sky and that not long thereafter one of his compatriots was cave-painting hoaxed "evidence". Like Charlie Brown, we shouldn't be so willing to believe and to tie our emotions to something we know full well will most likely be pulled out from under us. We should approach our Lucy cautiously. And yet, time and again, I encounter instances where individuals are absolutely upset that a particular video or photo or bit of physical evidence has been altered or fabricated. These individuals respond with ire that can only be matched by the weight of their emotional investment. How dare you trick me? If it were up to individuals such as Matt Moneymaker of the Bigfoot Field Researchers Organization, then there would be laws against it - at least the big ones that manage to sucker in TV crews so that it makes its way to his TV. As I have posted on here before, he was very upset by recent hoaxes such as Balloon Boy and the dead Bigfoot specimen in Georgia. But can he really blame someone else for his willingness to believe? Had he not gotten so emotionally tied to the hopes that FINALLY! we have proof, then he would have possessed the dispassion to proceed with caution and await all the evidence before making any conclusion. No laws are necessary. There were some very real laws that were broken in the process of Balloon Boy and they were addressed. There is no need for a Chicken Little Law. If we needed one, it likely would have been passed more than 100 years ago during the height of the newspaper wars and the plague of Yellow Journalism. We simply need to keep our heads and check our passions. We mustn't be governed by a willingness to believe, but by strict logic and skepticism. It's okay for us to take a stance, to believe; but we can't let that need to believe blind us. Lucy will keep pulling the football out from under Charlie Brown if he gives her the chance. IT'S SO SHOCKING, SO HORRIBLE! COMICS THE GOVT DIDN'T WANT YOU TO READ!!! Woman Hollering Creek, at its best known location, crosses southward under Interstate Highway 10 just east of San Antonio, Texas in Bexar County near Randolph Air Force Base. Some researchers have stated that the term "Woman Hollering" is a very loose translation from Spanish. 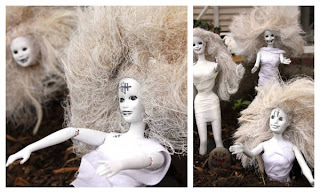 The is a legend told to children in Mexico and the Southwestern U.S known as “La Llorona”; loosely translated as "the weeping woman" or "she who weeps". However there would have to be some mix up to confuse the Spanish interpretation of "the weeping woman” with “yelling/hollering woman” (la gritar). Maps dating from the 1830s give the name 'Arroyo de la Llorona' to the stream now known as Woman Hollering Creek. This would seem to give further credibility to the weeping woman origin. John Troesser (2006) gives a very good discussion of the history of the creek with several alternative origins of the name from his web site contributors. The old folks in the area of the area of the creek have told that the woman "hollering" was actually a pioneer woman who went to the creek to either get water or to wash clothes and was attacked by Indians, thus she "hollered" or yelled for help. Others have told that Woman Hollering Creek dates back to the period of the Republic of Texas (early 1800's) where a woman from a local settlement-was kidnapped by Indians, possibly Comanche's. Her husband and other men from the settlement pursued the Indians, but were outnumbered and couldn't rescue the woman. She was raped, tortured, and then murdered on the banks of the creek. The husband and his party could hear her screaming but were unable to help her. Be that as it may, on old Republic-period maps the creek now known as "Woman Hollering Creek" was called "Arroyo de la Llorona. Another story tells that one day, a woman came to get water at the creek, and saw some approaching Indians, and began yelling a warning, hence the name Woman Hollering Creek. Or perhaps, one of her children fell into the creek, again hollering for help. According to the Wikippedia On-Line Encyclopedia, a woman who was pregnant drowns her newborn in the river because the father of the child either does not want it, or leaves with a different woman. The woman then screams in anguish from drowning her child. 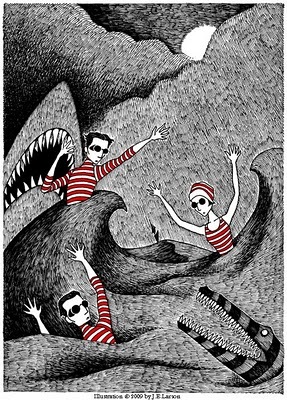 After her death, her spirit would then haunt the location of the drowning and wail in misery. No matter the exact origin, the emotional screams of the woman can still be heard on occasion as is occasional sightings of the restless woman's spirit. More recently (2001-2002) the Texas Bigfoot Research Center (TBRC) has suggested screaming sounds in the vicinity of the creek may be due to a Bigfoot type animal that could be related to the Legend of the Converse Werewolf that occurred in the mid 1800,s in Bexar County. The town of Converse is located in the vicinity of the creek near Randolph Air Force Base. Of course this is another legend, which I don’t need to go into as a part of this report. But if you’re interested in nine foot wolf/gorilla type creatures devouring a hunter, be my guest. The TBRC admits that more research is needed. Others have suggested another, but awkward English translation of "la llorona" as (the moaning woman). A true translation of the moaning woman would be “a mujer de gimiendo”. This interpretation may be the closest to reality and the term “moaning” could fit with any other the stories of the origin from weeping to hollering/yelling. Therefore, I would propose changing the English translation to the “Woman Moaning Creek”. To read more about Woman Hollering Creek and many other unusually-named features in Texas, visit http://www.texas-geology.com/ As a side note on the Spanish translations above, I would have to disagree. La Llorona doesn't refer to moaning or wailing, but to crying (llorar) or weeping. The noun for "the moaning woman" would be La gemida. Or I could say: La vi. Ella gemía / I saw her. She was moaning. I would use gemir to express a true moan or wail. These stories either indicate a weeping woman (llorar) or a woman shouting (gritar) for help or in pain. I would agree, however, that the translation from La Llorona to the Weeping Woman is flawed. But there's probably a story there too. And how 'Texas' is that, right? Hollerin(g). It somehow seems more colorful and fitting in the end anyway. Um, like, bummer! End-of-the-World 2012 been rescheduled. 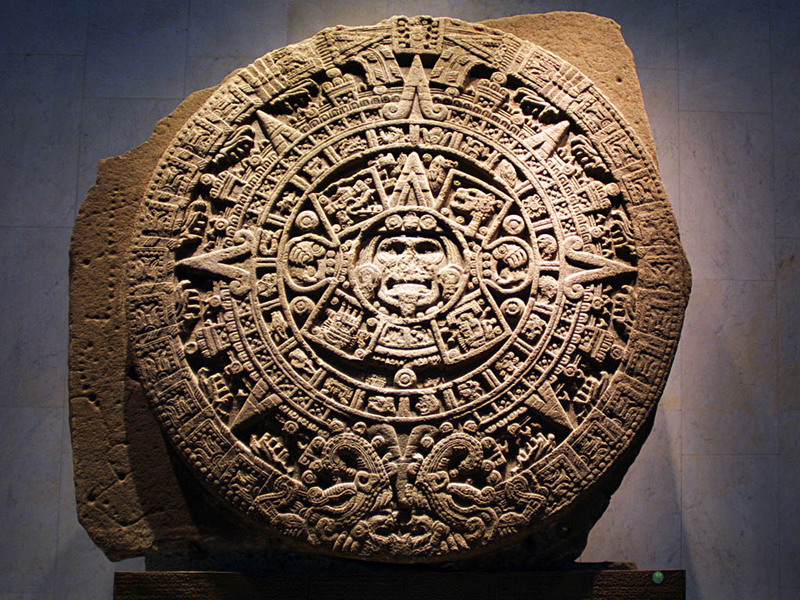 Apparently new calculations indicate the now-notorious Mayan "Long Count" calendar, from which doomsday fears have arisen, could be off by as much as a century - in either direction. That means, the great "apocalypse" may have already come and gone. 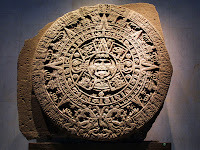 Trouble with the 2012 date arises from miscalculations based upon colonial-era translations of Mayan into Latin. New research by Gerardo Aldana at UC Santa Barbara refutes the long-held conversion method, which relies upon faulty historical data to bolster its accuracy. Read a more detailed account here. In this recently posted blobsquatch footage, we get all we need for a successful yawn: shakey camera work, an inability to use the zoom, and what can only be described as child actors. I have three nieces and after a recent outing to Chuck E. Cheese, lemme tell you. Kids don't behave like "Hey, Bigfoot!". If an animatronic rodent can set kids screaming, I know Bigfoot would generate a gread deal more fear. I've seen kids freak out over seeing the most innocuous things: seeing a jack rabbit, finding a spider in the corner, getting to eat pancakes for dinner. There is something inauthentic about this video, and we can't say it's Bigfoot. I mean, c'mon! He's a blurry confluence of pixels 12 miles down the road. No, my qualms are with those disaffected kids and the shoddy camera work. What Were Those Lights? ktsm - EL PASO - We still don't know what to make of some strange lights over El Paso. They turned up in East and Northeast El Paso, prompting lots of calls to our newsroom. One solitary light appeared to fall and then suddenly break up into three lights, which seemed to hover. A fourth light appears, and then they all disappear. Our best guess is that the lights have some connection to planes with the Amigo Airshow. If Anyone Is Hungry For Brains, It's Barbie! 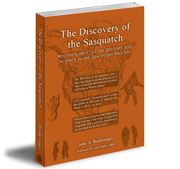 In Dr. John Bindernagel's new book, The Discovery of the Sasquatch: Reconciling Culture, History, and Science in the Discovery Process , another intelligent, scientific examination of the evidence concerning Bigfoot is presented. Alton Higgins reviews (in length) this new work over at the Texas Bigfoot Research Conservancy. I am excited to give this work a look myself. There are so few intelligent, scholarly works on the subject-- works on cross-species breeding and 'blue pee' not withstanding. Simply an amazing video. I wonder what possessed this pack to dash out onto a freeway en masse? They don't seem the least bit concerned with either the pedestrians or the moving vehicles. Check it out. Of course, the fact that the pulled over vehicle has its own POV (the passenger shooting his own video of something as innocuous as a traffic violation) gives one pause as to the authenticity of this event. Comments over at Boing Boing indicate that this was a staged event. Oklahoma's INsight Paranormal will be hosting open investigations at Ponca City's historic Poncan Theatre October 23, 2010. The evening event will include a history of the theater, informational talks on paranormal research, and the opportunity to investigate for yourself. Attendees will learn about electronic voice phenomenon, paranormal theories, how best to take pictures during an investigation, historical research and learn to take into account structural and environmental factors among many other topics. Events begin at 5:00 pm with talks that run until 7:00, after which the two-hour investigations begin at 8:30. Admission is $5 at the door for the talks or $25 for both the talks and the investigation. For an extra $10, you can purchase a package that includes an event t-shirt. INsight recommends purchasing tickets in advance as they will go fast. Prediction Comes True or How To Self-Fulfill A Prophecy? A newly-published book by a retired NORAD officer predicts October 13, 2010 as the tentative date for a fleet of extraterrestrial vehicles to hover for hours over the earth's principal cities. Author says the event to be the first in a series intended to avert a planetary catastrophe resulting from increasing levels of carbon-dioxide in the earth's atmosphere dangerously approaching a "critical mass. A dozen shiny objects hovering over Chelsea this afternoon sparked speculations of UFOs on the West Side. Callers began phoning the NYPD and Federal Aviation Administration around 1:30 p.m. with reports of strange, silver objects flying high in the sky over Manhattan, authorities said. "Some people saw something described as yellow with blue lights surrounding it," said FAA spokesman Jim Peters. "Every once in a while you get phone calls from people who see something they can't explain." 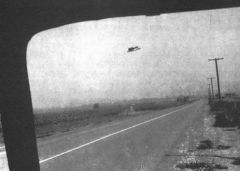 The unusual sightings sent the Twitter community into a flurry with several users saying they had seen people "vaporized" by the unidentified flying objects. 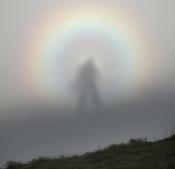 Cops said they received two 911 calls about the phenomenon but were not investigating the matter. They could not confirm any reports of people being vaporized. Peters said that if the objects were weather balloons, his agency had no prior notification. "A weather balloon may not show up on radar. It depends on size and what it's made of," Peters added. "We did a radar scan of area and it did not show up." Ominously, yesterday there was supposed to be "a massive UFO display over the world's principal cities," according to "Challenges of Change," a book on extraterrestrials written by Retired NORAD Air Force Officer Stanley A. Fulham. MY TWO CENTS: It looks VERY balloon-like despite what the men-on-the-street say. And if I were dead set upon proving my "prophecy" true, I might cetainly look into releasing some oddly designed balloons over Manhattan on the very day I claimed it would. If we can't blame the former NORAD guy, we can at least blame someone inspired by his words. Who that individual might be will likely remain a mystery for quite some time. Then again? This is the age of tweets, facebook, digital cameras, and a ravenous desire for 15 minutes of infamy. UPDATE: It looks as though a few balloon clusters were accidently released from a nearby elementary school. The Milestone School in Westchester County had been holding an engagement party for Andrea Carparo when several bundles of white balloons were accidentally released. An expedition that was looking for the mysterious yeti in Mountain Shoria – a faraway region in the Siberian taiga - has recently returned home. The expedition’s members claim that the forest fires of this extremely hot summer made Altai yetis move to the Kuzbass region, where they have started a “war” with local bears. I warn you, however, this site is (like another, more famous Russian news source) is highly tabloid and should be read more for fun that informational value. Read more here. There you are with your nascent interest in the paranormal, ghost hunting that is. You've read the handbooks, guidebooks, how-to's and why not's. Weekly, you sit before the flickering light of knowlege, an entranced disciple before the various shows that populate cabledom. Yet somehow you feel unfulfilled. Their hollow, rote answers leave you with an unassuagable hunger. You venture online: joining communities, posting on message boards, and clicking "like" on the Facebook page of every known paracelebrity. Soon, you're joining a local team, you get your matching t-shirt, and you venture nightly into the abyss to underscore your beliefs within the ramshackle halls of some abandoned building. For a time, it helps; and it's all such fun. However, you soon ask yourself: what do I do when fun just isn't enough? R. C. Finucane's insightful socio-historical look at the subject in Ghosts: Appearances of the Dead and Cultural Transformation will give you greater insight into just how and why we believe what we do when it comes to apparitions and hauntings. You might be surprised at just how recent some of our beliefs are and how often they have been informed by social and political forces of their era. As science and industry gained firmer purchase during the Victorian era, a counterpoint evolved to rail-quite literally-against the machine. This movement embraced romanticism via art and literature that idealized rustic country life. This sentiment was also expressed in architecture and design that revisited Tudor and Gothic styles and led many into the Arts and Crafts movement. Moreover, this counterpoint manifested itself as the Spiritualist movement, which would go on to have several revivals between the 1840s and the 1940s. Another intelligent work to check out would be Richard Broughton's Parapsychology: The Controversial Science. 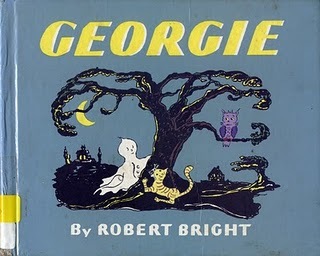 A psychologist, Broughton often examined the validity of phenomena such as extrasensory perception and psychokinesis. 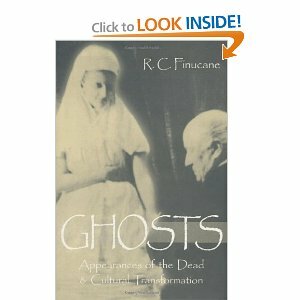 He also spent many years examining the parapsychological facets of ghosts and hauntings. Broughton draws upon his own work in the field and applies this experience to his examination of cases detailed throughout. While Broughton's bias as a proponent for the field is strong, his work in no way reads as that of a "true believer". You should find this a smart and approachable read that won't burden you with needless scientific verbiage. These two are primers, if you will, on the road to metriculating from Ghost Hunting to more significant paranormal investigations. There are countless other books that tackle the subject from an intelligent and scholarly perspective. Doubtlessly some of you will have recommendations. Feel free to comment with those. 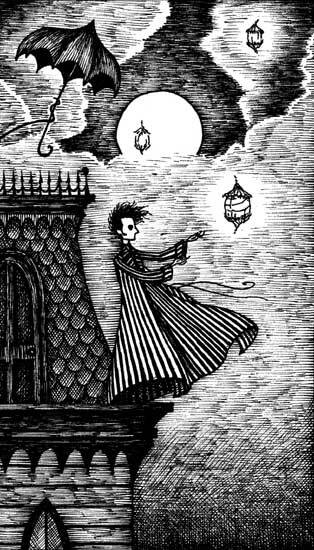 Who knows, maybe we will design a curriculum for Ghosts 101. Despite evidence so compelling as to redefine the very term "blobsquatch", Bigfoot enthusiasts like Autumn Williams are having trouble buying into assertions presented by the likes of Bill Emery and Linda Newton-Perry that a savage monster stalks the wooded confines of Oregon's Sru Lake. 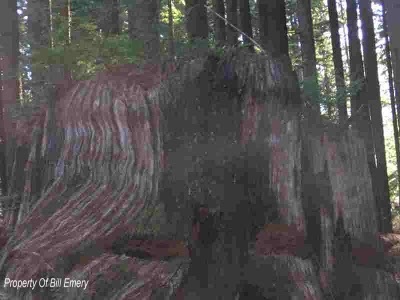 This may have to do with the fact that Newton-Perry's Bigfoot Ballyhoo website has presented incredulous statements such as witnessing official warning signs posted lakeside that mysteriously cannot be photographed due to the nature of the material from which they have been manufactured. To support all of this, are poorly shot, highly rasterized image of what seems to be a tree stump, upon which a dark, amorphous blob appears. Williams, an Oregonian, visited the lake for herself, finding neither the reported mysterious signs nor the destruction expected from a rampaging, homicidal Bigfoot. She did manage to record a strange call, but she readily admits this may have come from a "horny elk". "Thank you for the picture. It is good and makes big foot real to some in my family that didn't believe in the past. Why?" However, we will have to see how long these admirers hang outside Bigfoot Ballyhoo's balcony, pining away. Apparently one of the shots taken by Emery near the lake was confirmed to be nothing more than a frame from the 1977 movie Sasquatch: The Legend of Bigfoot. You can read more about this convoluted controversy over at Autum William's site, oregonbigfoot.com. In this near-humorous promo clip for a 1990's (heavy X-Files influence and all) UFO conspiracy documentary helmed by some Brit. The over-the-top way in which the filmaker addresses the seriousness of the topic only manages to exaggerate the absurdity of its premise. It's short, but great for a laugh. You can find more absurdity at Everything Is Terrible. 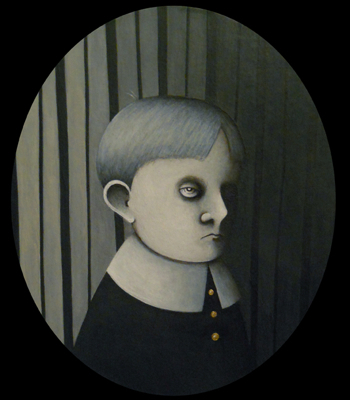 Guests of the Haunted Mansion is a show currently on display at the Harold Golen Gallery in Miami. 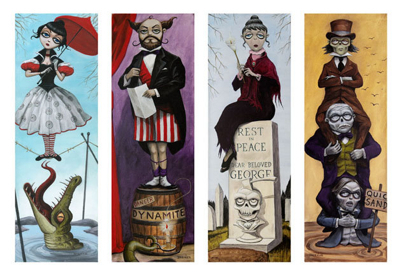 The pieces, inspired by Disney's Haunted Mansion attraction, vary greatly in style but retain the cartoonish whimsy of vintage spook art. My fave? Lauren Gardiner's Goryesque portrait of a young boy. The creature eventually lost its grip and was flung off the rooftop and onto the side of the road. Understandable Davis did not turn back to assess the well being of the beast but upon making it home he noticed that his side view mirror and roof top suffered considerable damage. 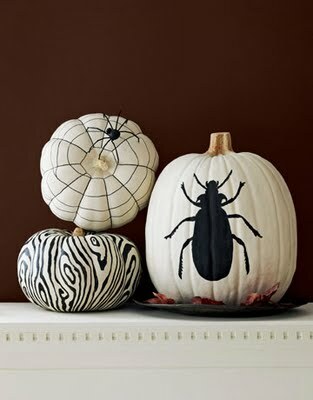 Throughout the remained of that year, numerous witnesses came forth with their own frightening tales of the aggressive creature and several strange 3 toe foot prints where cast in the area. 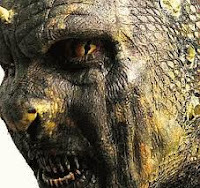 The latest encounter with the South Carolina Lizard Man occurred in 2004 when it reportedly tried to pull a young girl into the river she was walking by. Although not as common or widely believed in as Bigfoot, the North Carolina Lizard Man has similar evidence and similar lack of evidence as the hairy hominid. Several cast footprints of the creature have been taken along with hundreds of sightings suggest that something strange calls the South Carolina swamp land home, however just like the Bigfoot, no physical evidence accepted by modern science has been discovered to prove the existence of the South Carolina Lizard Man. 1988, Christopher Davis has an encounter with the South Carolina Lizard Man, the unknown 7 foot tall green skinned creature charged Davis, who was able to jump into his car and lock the door. The creature then attacked both the roof of the car and the side mirror before finally being thrown off the vehicle when Davis drove off at high speed. 2004 the South Carolina Lizard Man reportedly attacks a young girl and tries to pull her into the river she is walking by. SC isn't the only state with 'lizard men'. Reports of half-man, half-lizard, fish, and frog creatures have been reported all over. New Jersey has a rather famous lizard man and Ohio's 'Frog Man' is well known. 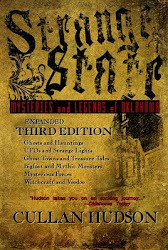 In Strange State, you can read about Oklahoma's alligator-headed creature that walked on two legs. In the forthcoming Stranger State: More Mysteries and Legends of Oklahoma, I will expand on this tradition with a more recent account in the Sooner State. For nearly three quarters of a century, a woman's Paris apartment lay sealed like a time capsule. After passing on recently, a treasure trove was discovered inside. The woman reportedly left Paris for the south of France prior to World War II. She never returned to her home, but rent was paid faithfully each month while the apartment was left locked. When appraisers entered the dust-shrouded flat, it was like stepping back in time. Most startling was the discovering of a painting of the woman by Giovanni Boldini, which recently sold at auction for €2.1 million. 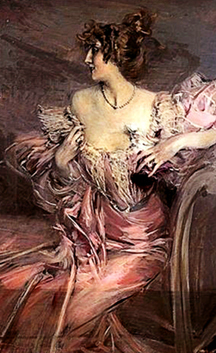 The painting depicts Marthe de Florian, a famous actress as well as Boldini's muse and lover. "43-year-old Konstantin Rudnyov, who claims to be an alien spiritual master from the star Sirius, was arrested in Russia on charges that he created a "nationwide totalitarian sect that brainwashed and sexually abused members," according to police today." 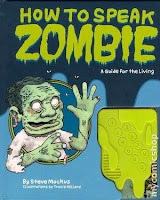 The Zombie Says "Grrr Aarrghh Uggh Ahh"
Forged from the twisted mind of Steve Mockus, an editor at Chronicle Books, and illustrated by Travis Milard, How To Speak Zombie bills itself as "a guide for the living" on how to understand the undead. 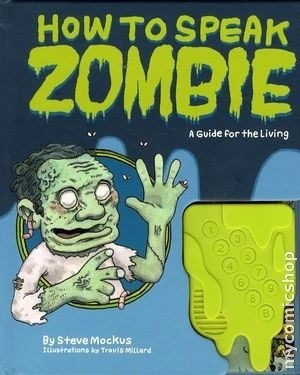 Included with the book is an audio device that allows the reader to hear ten different phrases in Zombie, which according to Mark Frauenfelder's review on Boing Boing sounds "a lot like an angry Scooby Doo on quaaludes". 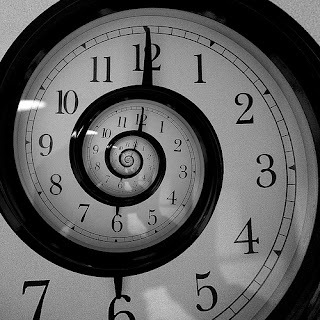 In the aftermath of the recent Rutger's University tragedy, a small controversy has erupted in the paranormal field. While having nothing to do with each other, per se, the two are tangential. It seems Britt Griffith, a recent addition to the Ghost Hunters team on SyFy, made some brash and lamentable statements during an internet radio show. Not long thereafter, an Ohio paranormal investigator and blogger took him to task for his comments in her post. The comments that followed the post soon took on a mudslinging life of their own. It's easy to think of paranormal enthusiasts as being all cut from the same cloth: eccentric, liberal, disenfranchised, tolerant, quirky, non-conformist, accepting of the exceptional. However, reality is that the field is comprised of many disparate individuals who don't always share the same mindset. Instead of haranguing you with a lengthy diatribe, I shall instead direct you to a series of links that will illustrate the controversy and what those involved (and not) have to say about it. Link # 4 Somehow during this whole debacle, the Ghost Divas - who had nothing to do with the controversy - get sucked into the mix as well. Somewhere out there is a children's book waiting to be written: We're All The Same When We're Covered In Mud.